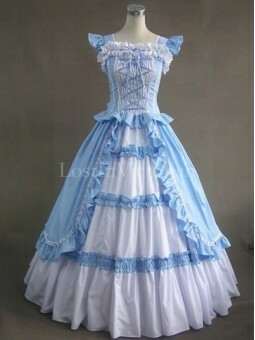 Fabric: CottonShown Color: Blue & WhiteIncludes: Overskirt Bodice, UnderskirtThe hoop skirt (wor.. 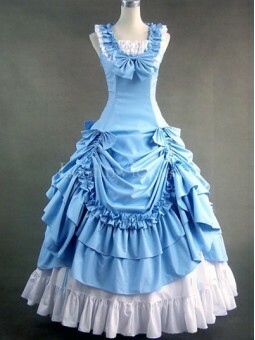 Fabric: CottonShown Color: Blue & WhiteIncludes: DressThe hoop skirt (worn under the dress) is r.. 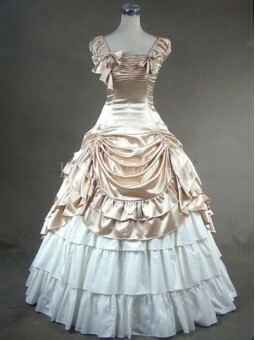 Fabric: Satin, CottonShown Color: Champagne & WhiteIncludes: Overskirt Bodice, UnderskirtThe hoo.. 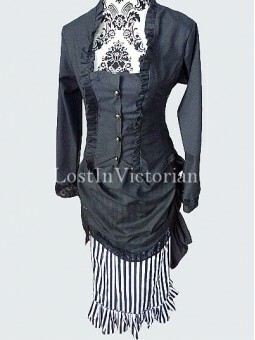 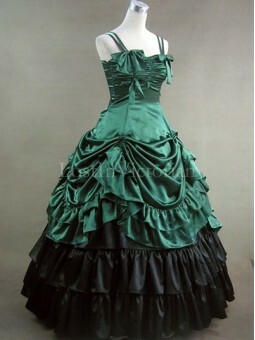 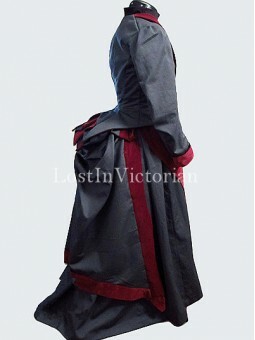 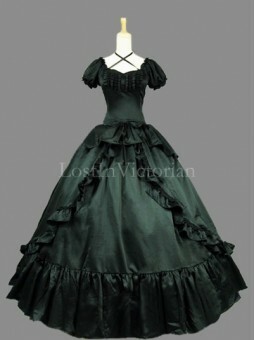 Fabric: CottonShown Color: GreyIncludes: Bodice, Victorian Bustle, Underskirt >> Find More 19.. 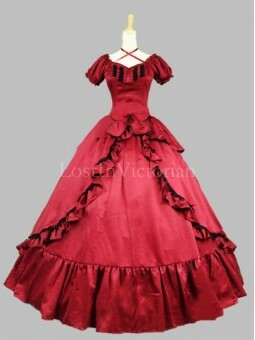 Fabric: SatinShown Color: RedIncludes: DressThe hoop skirt (worn under the dress) is recommended and.. 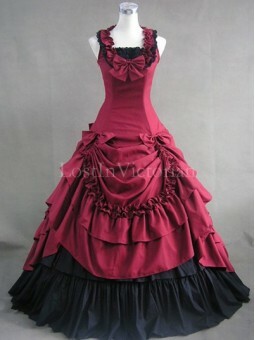 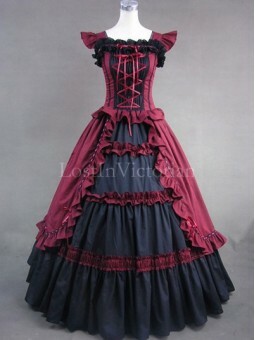 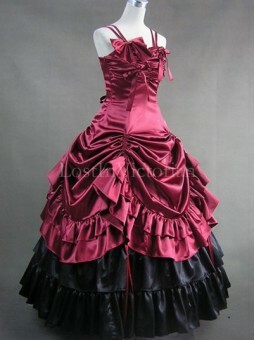 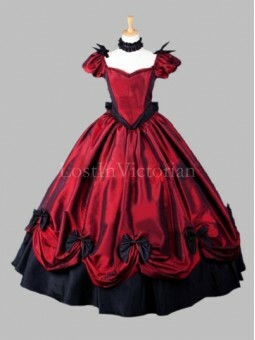 Fabric: Cotton BlendShown Color: Grey and Purplish RedIncludes: Bodice, Bustle Skirt.. 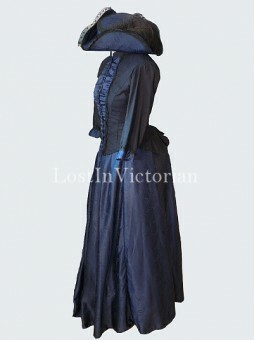 Fabric: Silk, CottonShown Color: Navy Blue and BlackIncludes: Bodice, Bustle SkirtThe hat is for dis.. 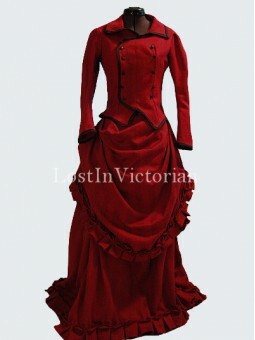 Fabric: Cotton BlendShown Color: RedIncludes: Bodice, Bustle Skirt >> Find More 19th Century .. 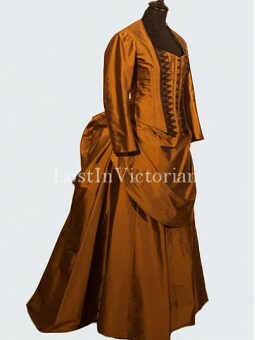 Fabric: Silk, LaceColor: Lavender, Teal, Green, Black, Blue, Beige, Brown, CustomizedIncludes: Bodic..